Right on the beach between Golden Sands and Saints Constantine and Helena, the air-conditioned Apartments Cabacum comes with a balcony and sea views, satellite TV and free private parking. area: 67 m2. 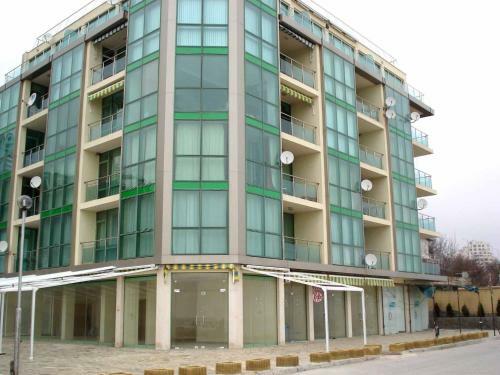 Fully furnished 1-bedroom apartment in Golden Sands, first-line from the sea .... The building is L-shaped with one ...read more ... The complex is set close to one of the most visited Varna beaches named Cabacum. ...read more .